The new Remington Model 11-87 Sportsman Super Mag ShurShot Turkey 12ga is an awesome looking and awesome shooting gun. 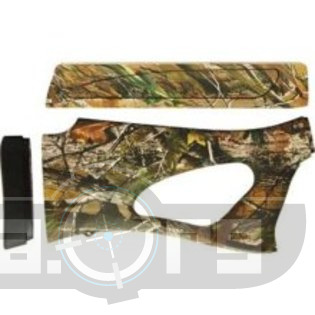 We love the pistol grip stock that helps you get a bead on that turkey a little quicker. The Model 11-87 Sportsman ShurShot Super Magnum Turkey is the cutting edge in comfort, concealment and precision shot placement, boasting the ambidextrous ShurShot pistol-grip stock and full Realtree® APG™ HD™ coverage. It's 23" barrel has fully adjustable TruGlo® rifle sights and accepts Rem™ Chokes (Wingmaster HD Turkey Choke included).